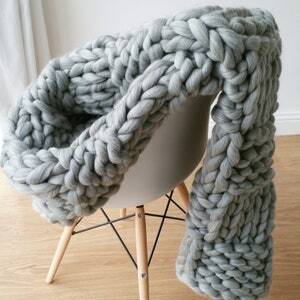 Super Chunky Merino wool yarn is very soft and easy to knit with. 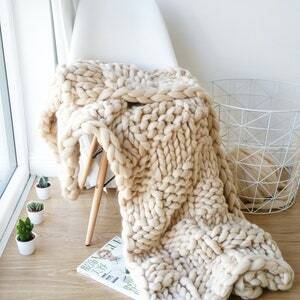 Each skein of our Super Chunky Yarn is made with 100% Merino wool and measures approx 1cm in width. Chunky yarn is perfect for all of your chunky knits and accessories, you will be done i no time as it is so easy to work with. Hand wash and lay it flat to dry. 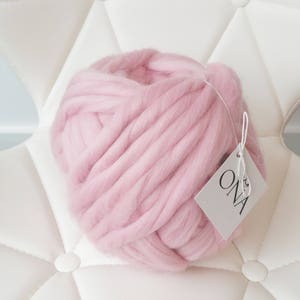 ONA by Agne yarn is ethically sourced from non mulesed sheep. If you prefer balls rather than skeins, please let us know in a message and we will wind wool into balls at no extra cost.